I think that bookstores would be the epitomy of good grammar, spelling, and comprehension when it comes to words. Be they printed or spoken, proofreading is important before something goes to press. I hope your trained eye can see what I am talking about. She's not my favorite celebrity cook, but that doesn't matter. She deserves a sign with her name spelled correctly, too. I brought it to the attention of a staff member (after I snapped this pic) who seemed genuinely embarrassed, and she took it down. Upon returning from the restroom, I saw it was right back as if I'd never said anything. Mediocrity will not go unnoticed. Now the whole world has a chance to see what idiots they are. 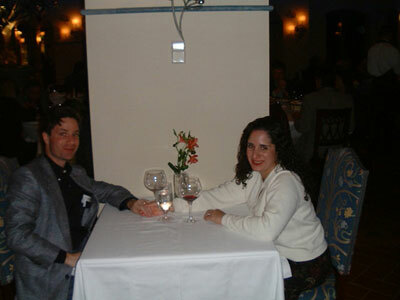 Hi Nikki and thanks for visiting my blog thus giving me the opportunity to learn about you and your blog. You have a beautiful blog and I have sensed your humour reading your biography in your profile. As an ex owner of a bookstore I have many times spotted mistakes in books which I relayed on to the editors, but who didn't care less. 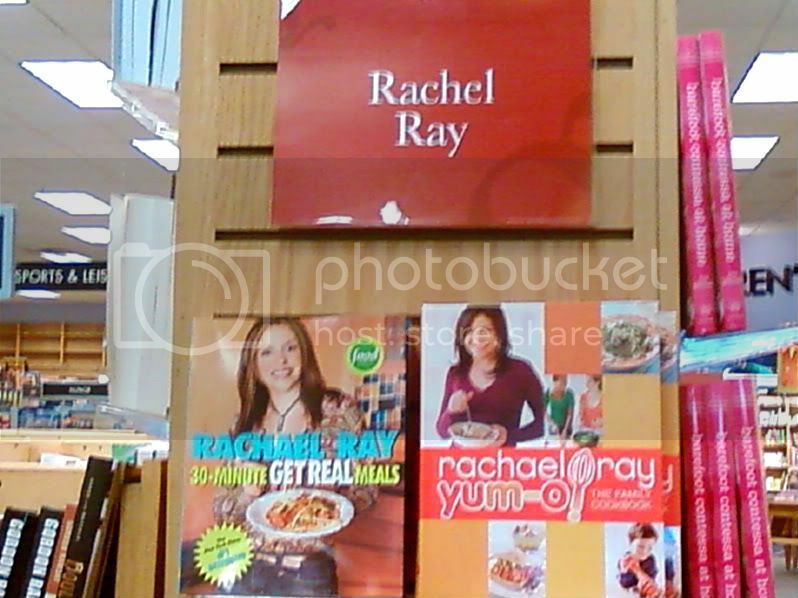 What I always find amusing is that Rachael Ray haters like me always spell her name correctly, but her fans are always spelling it wrong. It doesn't hurt that I always spell it correctly because my name is Rachel and I know it drives me nuts when people spell it as Rachael! Zach: Oh, they're alright. Knda like Starbucks only dirtier and with books. I like the cushy chairs so I can do my work there. Rachel: You Rachael Ray hater! ;) I've noticed that people spell her name wrong all of the time, everywhere. I did a cooking class based on a few of her recipes and it was spelled wrong all over the place. I'm so glad that you're pedantic. Thank you for noticing! It's part of my schtick, ya know, to misspell. :) How hypocritical would I be otherwise? I'm a bit cautious of you around my site now - checking for spelling and such.....he-he. Not really, you are more than welcome and welcome to show any errors I've made. Ivy: Thank you for stopping by. I appreciate your kind words. You owned a bookstore! Wow! I believe that was one of my dream jobs as a little girl. Loving the new look. This does the most justice to your recipes and posts. Thanks for all your support and comments. I will be back to my old self in no time. Courtney: Thanks so much for the feedback. I like this design much much better. Green is calming and I feel that I just feng shui'd the whole thing! Complaint manager: Thanks for stopping by, man! The jury is still out for me whether or not the pulling of the ad was justified. I mean, they lost millions of dollars. But Rachael still got PAID! !